This paper outlines the experience gained from fabrication and inspection of different defects and test blocks in Finland. 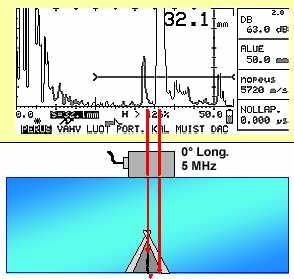 Some applications and results of ultrasonic (UT) and eddy current (ET) examination of different types of defects in test blocks are presented in the document. Qualification approach in Finland is following the ENIQ Methodology and Recommended Practices. Technical Justification is the main background for qualification of inspection system, supported by practical trials using representative defects and test blocks. The expert organisation of Fortum Nuclear Services Ltd. (FNS) is giving technical assistance for Loviisa NPP (PWR of type VVER-440). In addition to manufacturing of test blocks and representative defects, collecting and preparing of input data for qualification of different components is one of current and important tasks. Owning and purchasing relevant test block materials has been an important precondition for starting manufacture of first defects and test blocks in 1995 for Loviisa NPP. Development work for producing realistic defects with practical ways (together with network of subsuppliers) is supported by Fortum Group and now targeted to qualify the processes to produce different types of realistic defects. Development work of Trueflaw Ltd. is targeted to produce thermal fatigue cracks straight on component surfaces. Development work of VTT Industrial Systems is targeted to propagate stress corrosion cracks straight on component surfaces using thermal crack initiation. Both activities are based on sophisticated devices, strong theory background and open-minded skills to apply theory in practise. NDE knowledge of VTT Industrial Systems is used for inspection and evaluation of produced defects in test blocks fabricated for qualification activities. The economical reasons seem mainly to guide the decisions what kind of fabrication methods and defect types will be used for qualification test blocks. The very realistic defect types are unfortunately also the most expensive and time consuming. Using of set of different kind of realistic defect types is feasible when ideal approach is not achievable. The possibilities for defect fabrication are highly dependent on whether a finished test block is available or a totally new one will manufactured. 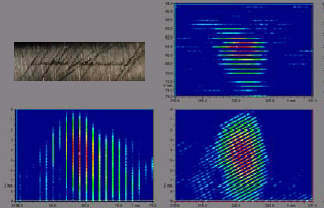 The ways of producing defects specially in base materials and for ET examination are quite limited when response gained with NDE techniques from the defect shall be without disturbing and revealing effects. Also producing transversal defects into welds (when needed) is difficult with typical crack production methods. The recent defect developments in Finland are going on for qualification of ET and UT examination of cladding and near inner surface area of reactor pressure vessel and for safe- end-to-vessel dissimilar metal weld. 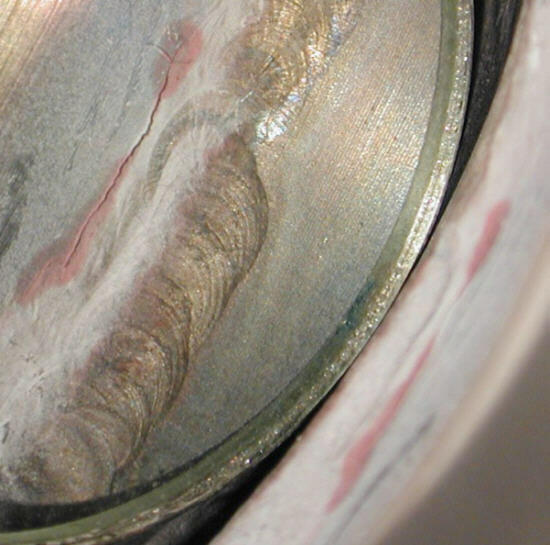 The first defect production trials in 1995 were implanting of field cracks to base material and weld groove using EB welding with successive NDE results (see Figure 1a). Implant in weld root is tried to hide inside the welded root area all around the weld (see Figure 1b), but still welding will slightly weaken the detection of implanted crack. Fig 1: a) Implant in base material.b) Implant in weld root. Implanting is still quite acceptable method for producing for surface (see Figure 2a) and subsurface cracks in cladding and for producing under clad cracks (see Figure 2b), when cladding can be totally rewelded around the implanted areas. 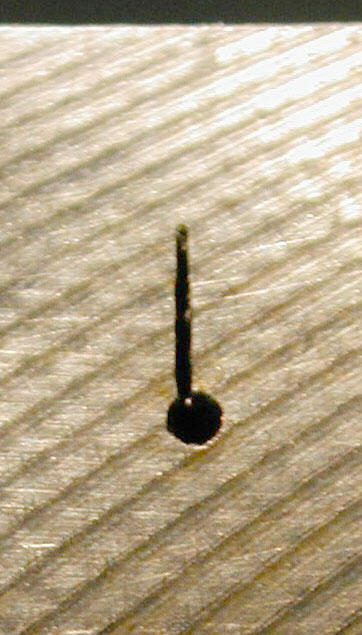 Fig 2: a) Surface implant in cladding. b) Under clad implants. Fatigue cracks are postulated defect types in many components. Producing of fatigue cracks to weld groove (before welding the weld joint) is perhaps the most used way of producing deep cracks for qualification. Many trials are carried out during past years to produce fatigue cracks with controlled surface roughness, depth, specified orientation, sharp crack tip and narrow opening in root. Fatigue device with constant movement and machine with constant loading and instrumented crack depth control are used for low cycle trials using simple specimens. Difficulties are faced in control of crack opening and adaptation of fatigue devices into crack fabrication in real components. Still the manual crack production will guarantee better controlling of crack sizes, orientation and at least the same crack surface roughness, and cost effective crack production (see Figure 3). Fatigue cracks fabricated for personnel qualification. The actual position of fatigue crack just in the weld toe is quite difficult to achieve, because the crack edge can melt during the welding process of the weld joint. Many trials with different materials, their different combinations and welding techniques are carried out to produce cracks in the middle of weld melt. Depending on defect type to be simulated we can select the proper combination. 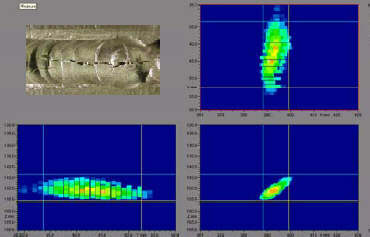 This opened, rough and irregular crack in depth and length direction will simulate stress corrosion cracking (1). In cladding layers, welding on slag lines will disturb solidification of weld bead. This will cause solidification cracks initiating from slag line towards the cladding surface, even though the welding parameters are optimal. This welding technique is also used to produce solidification cracks in the cladding layers of test block (see Figure 4). Fig 4: Subsurface solidification crack inside the cladding. Using another material combination it is possible to weld tight, continuous and linear crack in depth and length orientation trying to simulate also fatigue cracks (see Figure 5). This technique can be used for introducing cracks into finished test blocks. Fig 5: Solidification crack in weld material. The most promising crack fabrication technique is to fabricate thermal cracks straight on component surface, also on complicated configurations (see Figure 6). 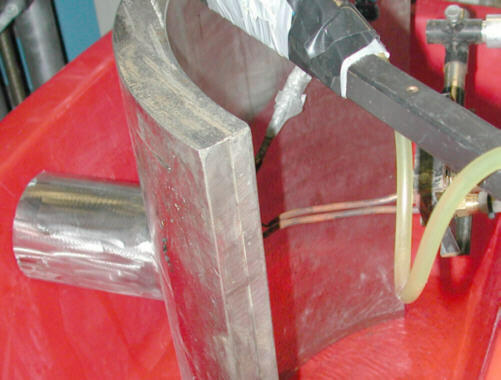 Fig 6: Fabrication of thermal fatigue crack on inner radius of nozzle hole. Also the stress condition of crack tip can be changed with this process. This technique will open new possibilities to produce more realistic cracks for qualification. EDM notches of PISC type A are considered generally relevant giving crack tip response. However, the disc electrodes produce tilted and wide opening on surface, and curved side surfaces distort the UT response from reflector. National investigation was established to reduce the disadvantages of these notches by trying to produce notches with narrower discs and strips. Deep notches can be produced with sharp tip (with maximum diameter of 0.08 mm) with optimised discs using shallow amperage. Thin strips (notch width under 0.25 mm) can be used for producing narrow low notches. Generally narrow notches (maximum width 0.25 mm) are kept as acceptable reflectors for qualification purposes, even though the UT response is higher than got from fatigue cracks. Detection and sizing of subsurface cracks in cladding is one of the critical issues in RPV qualification. Fig 7: EDM notches inside the cladding and under the cladding. The capabilities of accurate measurement of ligament thickness and crack depth in the cladding are the most critical issues for RPV qualification. EDM wire cutting is used as one way to produce planar reflectors in cladding test blocks (see Figure 7). UT response of cracks are depending on morphology and conditions inside the crack, e.g. 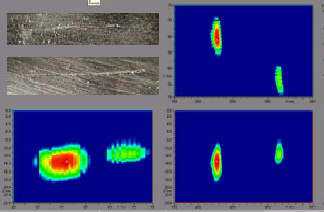 surface roughness of reflecting surface, crack width, stress condition in crack tip and deposition on inside surface of the crack. Rather limited information is established concerning how compatible and representative different crack simulations are compared to field cracks. The question "Is your crack production qualified?" is often asked. One can put a counter question "Where is the instance where this wisdom is available?" 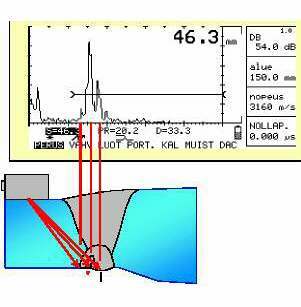 Good knowledge of failures and potential failure mechanisms of components is the key issue to collect input data for qualification and design of defect population for test blocks. Ideal situation of using component with field cracks for qualification is rarely possible. The results and feedback of mechanised UT and ET examinations have the key role when assessing the properties of produced cracks and other reflectors. If the response and signals are typical for cracks, and there are no spurious signals disturbing or revealing the crack area, the produced cracks work can be considered proper for qualification purposes. All the crack and notch production processes include advantages and disadvantages, limitations and uncertainties. An approach of using cracks matching the closest to field cracks in question might be practical. However, in many cases its better to use different types of cracks together and perhaps with other reflectors like improved EDM notches. The knowledge and experience of field cracks, crack production processes and also the feed back from NDE responses will support the choices of selecting proper defects for each qualification case. P. D. Watson, R. L. Edwards, “Fabrication of test specimens simulating IGSCC for demonstration and inspection technology evaluation", 14th International Conference on NDE in the Nuclear and Pressure Vessel Industries, Stockholm, Sweden, 24-26 September 1996.